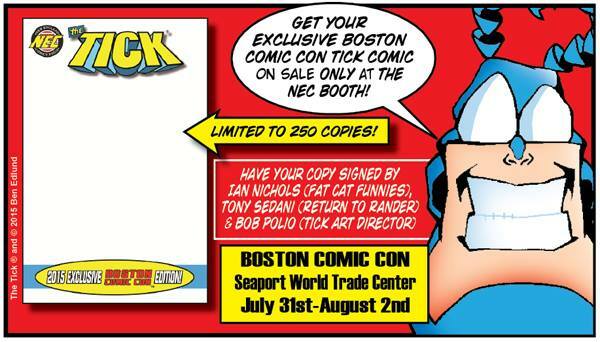 THE TICK BOSTON CON EXCLUSIVE! Hey everyone, the people over at “The Tick” comic gave me a great opportunity to showcase a Tick pinup in the one shot Boston Con exclusive issue. There will also be 250 blank sketch covers available at the show! The show is THIS weekend July 31-Aug 2. My buddy Ian Nichols (www.fatcatfunnies.com) also has an amazing pinup in the book as well. If you pick one up, I am available for commission work to draw a custom sketch on the cover. Welcome back to Sunday in Rander! 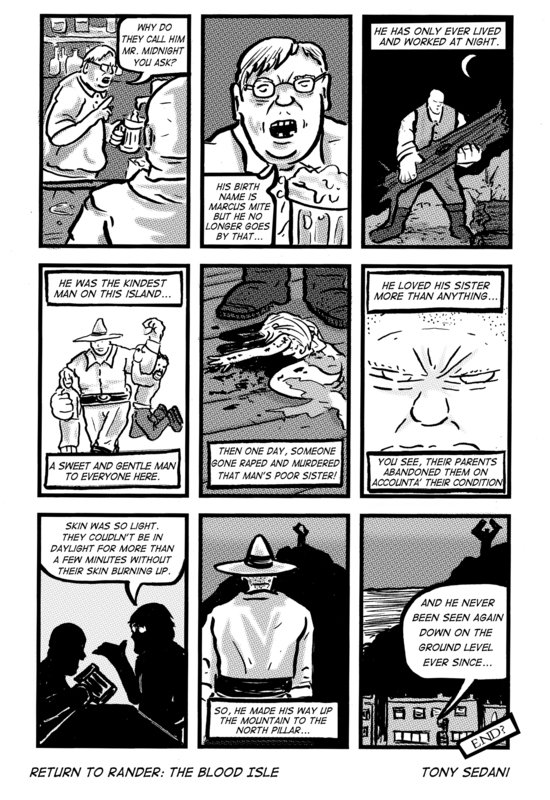 This week I bring you a new mini-strip! I love doing these 1 page quickies. They are challenging to fit a small idea or story into just 9 panels, and it also brings more insight into characters that I can’t get to in the main storyline. 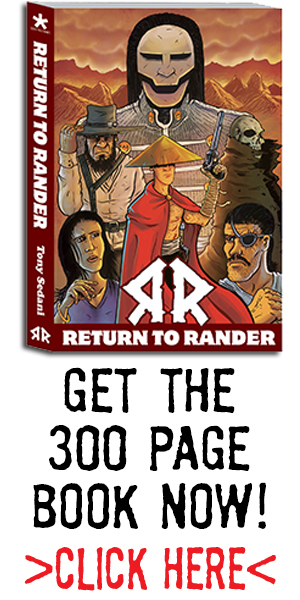 The one I bring to you this week is about a brand new character to Return to Rander. He will debut in Book 2 (THE BLOOD ISLE). Enjoy! A piece I did for an online competition. The topic was “home invasion” so I imagined what would happen if Deadpool had a swat team invade his house while he wasn’t ready. My favorite part is that his underwear have deadpool logos on them.